In our present life, almost everything is adapting to the internet like entertaining, education, work, relationships, and even more. Voice and audio recording are vital and the main characteristic of success in multiple ways and a voice recorder that can do its job is a must. 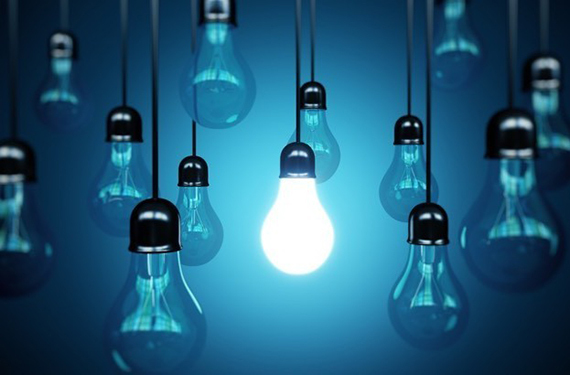 For example, nowadays is really common to go to YouTube when we want to learn how to do a particular thing (it seems that YouTube has the answer to everything). The same happens with education and relationships, there are, every day, more and more courses available to learn things and social media platforms to communicate. However, whichever the choice is, audio recording is really important to completely emit a message. How likes to listen to a tutorial with bad audio? Or even worst, How likes to listening music with a poor quality? Nevertheless, in order to get the best high-quality recording, it is important to consider every aspect that makes a final audio great. 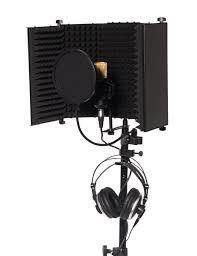 The two main elements are good recording software and a good microphone to start recording. In this article, are going to be mentioned the benefits and features of Free Sound Recorder, how to use it, and some tips on how to improve the quality of your recordings. 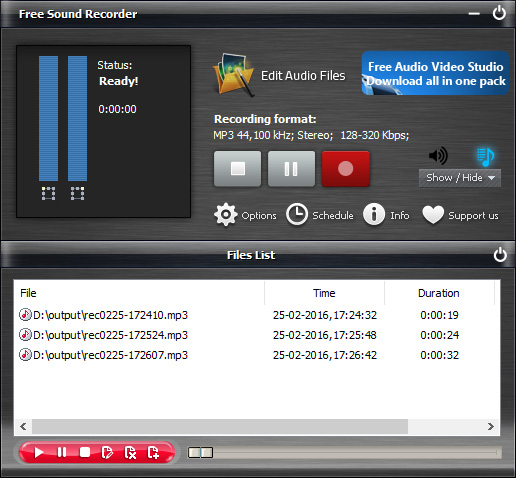 Free Sound Recorder is the best audio and voice recorder software in the game so far, and, the best of it is free. It has all the features and characteristics to make your recordings sound better. In fact, it is the only recording software that truly understands the necessities of the customer when it comes to getting high-quality recordings. Most recording software and apps are not updated and can’t support the majority of modern codecs. Free Sound Recorder supports them all. 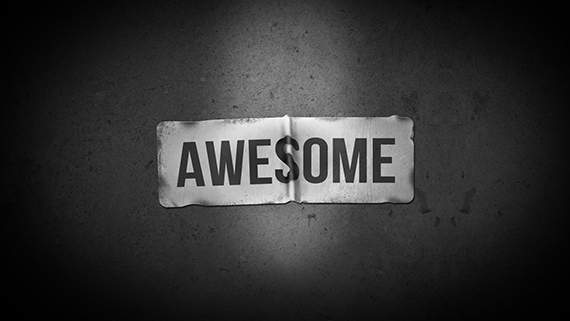 Among the features, you can get from this great software are. 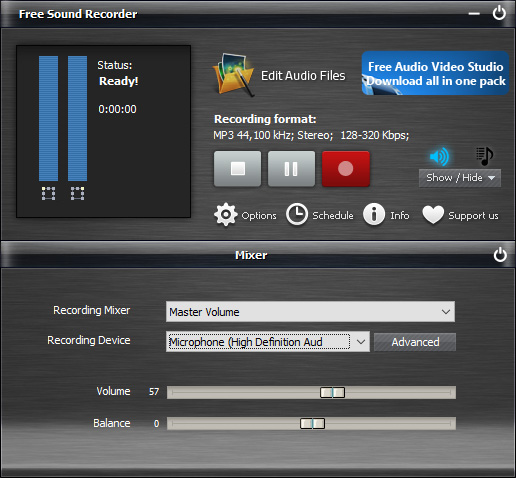 Free Sound Recorder is not only the perfect software for people who want to record voice audios but it is also great if you are a music lover and want to record audios from your favorite songs, videos, concerts, etc. Once you have recorded what you want, you can save them into the audio files you want, either be stereo, line in, mic, online streaming, pretty much everything you want can be saved and downloaded to your computer, phone or even iPod. Even though Free Sound Recorder has, by default, its own noise suppression system and quality booster, you can improve even more your recordings or modify them with the editing system. This is a great characteristic of the software that allows you to paste, copy, mix, cut, and add as many effects as you can imagine. This is a feature that most recording software has but hasn’t mastered yet. When you want to record any audio, the first thing you care the most is the quality of the sound and that the annoying noises are out of them. With the high-definition and the noise suppression system incorporated in the software, you can improve the quality of the audios automatically. If the quality it is not enough you can edit the audio as much as you want to make it perfect for you. Another great feature of Free Sound Recorder is the ability of programming the software to record your favorite online radio programs, concerts, music etc. whenever you want. You can set it daily, weekly, hourly. The voice activation system is also great, especially for those who get bothered with difficult procedures to start recording. 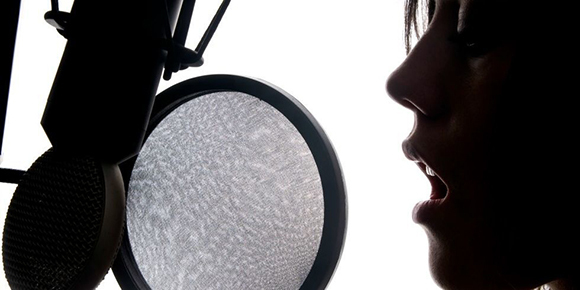 With this system, you can start recording only with your voice, without any difficult procedure. The majority of software or applications are full of pop-ups and undesirable publicity that we all hate, especially when free apps are. These publicities often have malware or viruses that might damage your computer. With Cool Record Edit Pro that doesn’t happen, you can be sure that it is 100% safe and you won’t get any malware or virus. Another characteristic that many people like when they download software are how friendly the software is to install and use. Fortunately, Free Sound Recorder is really easy to use and with only three steps you will be using it to record your high definition audios. Free Sound Recorder allows you to record and save on the most popular audio formats available like MP3, WAV, VOX, CDA, and a lot more. Many of the recording apps available don’t support the majority of the audio formats and that can be annoying when you want to record music and convert it to a particular audio file format. Filelist is the exclusive tool that is integrated into the software and will help you to find in an easier way everything you have recorded. Many software does the job of recording but they often save your records wherever they want. This makes it difficult to locate your files and audios on your computer that is the reason Filelist was created, to help you find your records in a specific file. Free Sound Recorder is a voice recorder software that’s really easy to use thanks to its easy interface and options that are at the reach of your sight. When you open the software, you don’t have to look around to find them. If you are trying to record your voice instead of other sound, you should select “Microphone” as sound source. After that, if your mic is working properly, you can see the vibration in the LED bars on the left when your voice is detected. Now click “Options” to set how you want to record your voice audios, auto-recording setting, the type of audio format you want, etc. As mentioned before, you don’t need difficult procedures to start recording, if you want to record voice, you can set which hardware you are using to record, the volume, the balance of the recording, before you get started. 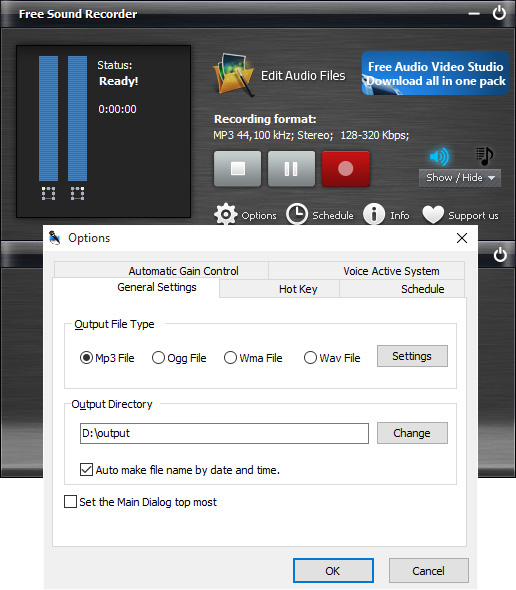 You can edit and modify your audio recordings the way you want it even after you have already saved them. The good thing about Free Sound Recorder is that, even though you put a particular setting for your recordings, you can always modify and edit the final recording and adjust it without losing the quality of the audio. When you start recording a voice audio, music, or whatever audio you want, you will find them saved in the Files List, all your recordings will automatically appear on the list, just as is shown below. Once on your File List, you can do edit, cut, paste or modify your recordings with another tool if needed. Just like it was mentioned before, to get the best quality on your recordings, you have to own, in the first place, a good recording software and, secondly, a good microphone or recording hardware. Depending on what you want to record, what sounds you want to include in your records or just the overall quality of your recordings, you can select from two types of microphones. Before talking about the types of microphones is not more to say that you will always get what you pay for. 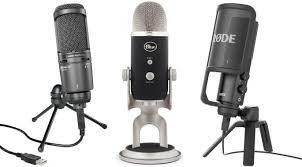 Commonly, the more you pay for a mic, the better is going to be, however, you can still get microphones for a good price that will work perfectly for you. So, being said that, there are two types of microphones which are omnidirectional microphones and unidirectional microphones. 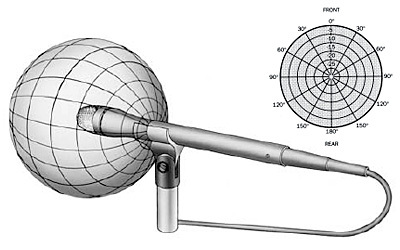 The omnidirectional microphones are the ones that get the sound from all directions; therefore, the chances of getting “annoying noises” are greater. However, these types of microphones are better when you want to record music or you want to absorb all the surrounding sound. The unidirectional microphones, on the other hand, just get the sound from one direction, this is the most common ones for recording narrations because you won’t catch all the annoying noises of the surroundings, especially if you live in a noisy area. Now that you have a good recording software and a microphone, there are some tips that will help you give your recordings an extra boost to improve the quality of them. Even though you already have good recording software, the software itself won’t make all the work for you and magically make your recordings great. 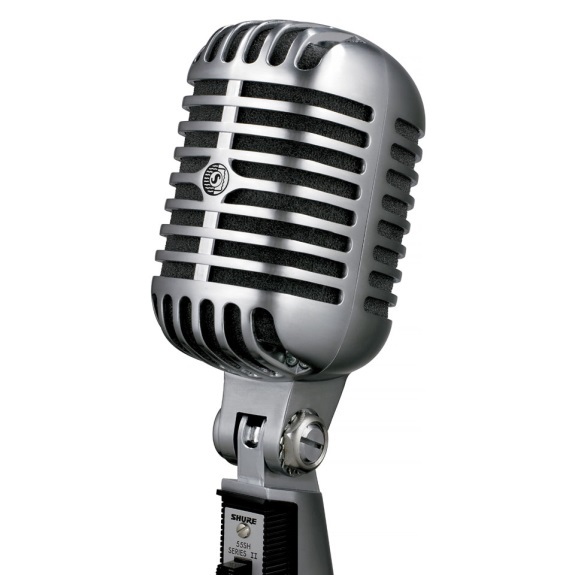 As mentioned before, the more you spend on a microphone, the more are the chances to get high-quality recordings. Ambient noise is probably the number one enemy of the perfect audio recording and it is for that reason you must get rid of the ambient noise that might reduce the quality of your recordings. A good way to do that is by unplugging artifacts around your computer and mic, especially those who produce heat or any sounds like a fan, air conditioner, minibars, etc. Setting your microphone far from your computer is also a good way to reduce ambient noises produced by the computer. Recording at late night hours (when everybody around is sleeping and cars don’t go by) is a good option too. The distance between the microphone and you as well as your sibilance is a really important determinant of the quality of the audio. 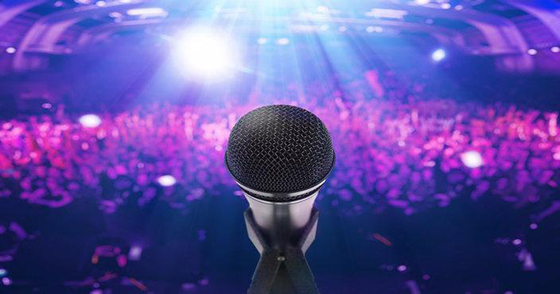 Microphones are specially designed to get every sound you emit, good or bad. It is for that reason you have to make sure to keep a good distance for your microphone to receive similar frequencies of your voice. Sibilance is another key factor when you pronounce the “S” and “F” when people pronounce words with these two letters they tend to increase the frequency of the voice too. That might sound horrible on your recordings if you don’t pay attention to them. You probably don’t have a professional studio on your house. Nevertheless, you can make your own with simple steps. Professional studios are surrounded by cubicle walls that are designed to absorb sound waves and make the recordings sound sharper. You don’t have to put cubicle walls but you can create a chamber where you can put the microphone. That way the quality of your recordings is going to be improved. Many of the recording app, software, etc. need are too difficult for some people to use it or just too expensive. With our voice recorder – Free Sound Recorder, you don’t have to worry about difficult procedures or pay anything whatsoever. When it comes to hardware, it is up to each person select which one works better, however, with a good recording software and a decent microphone, your recording is going to sound just perfect. There is no need to have a professional studio to create high-quality recordings but with a few setups, equipment, and having in mind some considerations, you can have the quality of the professionals.